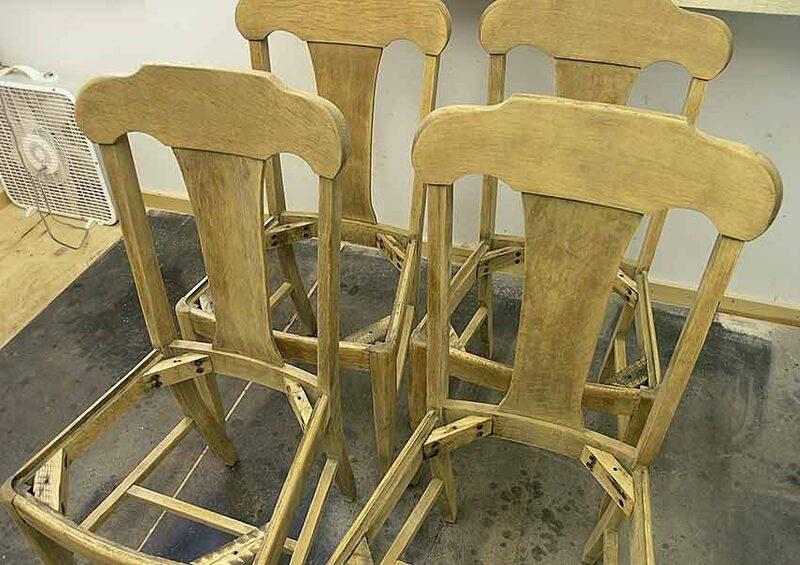 These 4 water damaged oak chairs were brought in for refinishing service. 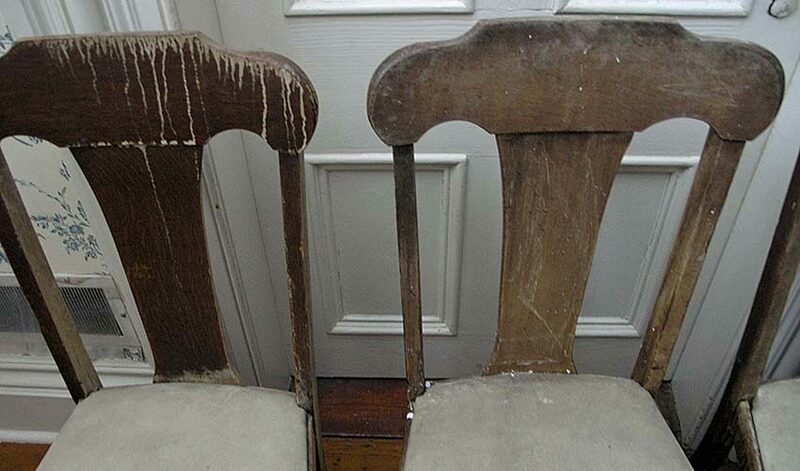 The finish was severely damaged, the joints were loose, and the upholstered seats were damp and moldy. Restoration began by removing the slip seats and re-gluing the loose joints. The damaged finish was then stripped and everything was sanded. 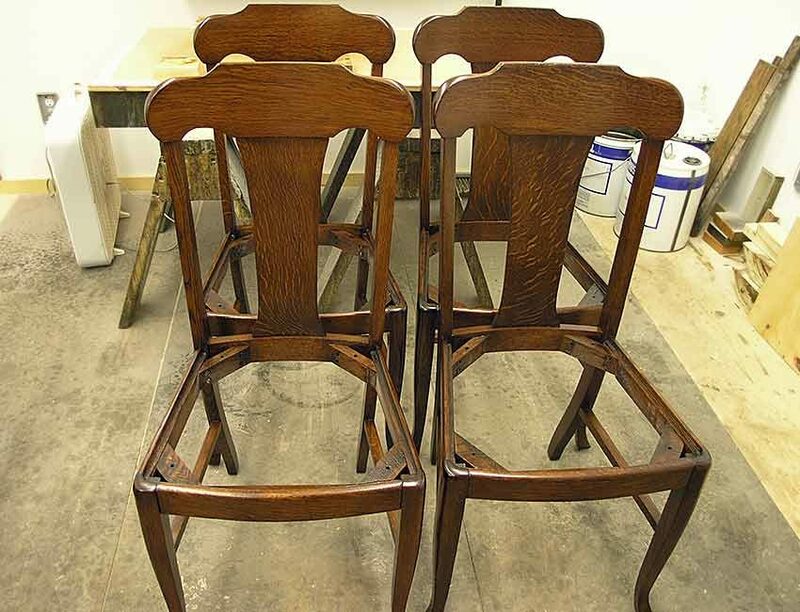 Next, the chairs were stained to a traditional color, and finished with several coats of lacquer. The new finish was then rubbed and waxed. The upholstery was removed from the slip seats and repairs were made to their frames. 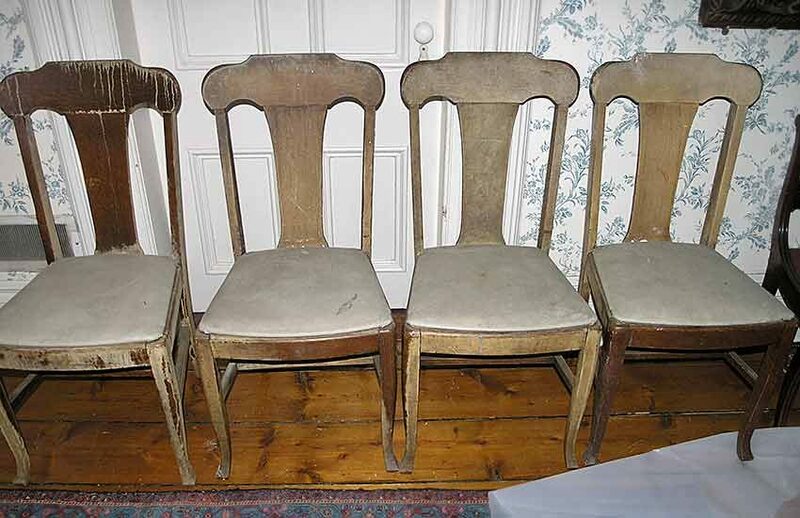 They were then sent out to the upholsterer. This photo (taken at delivery), is one of the refinished chairs with its new leather slip seat. 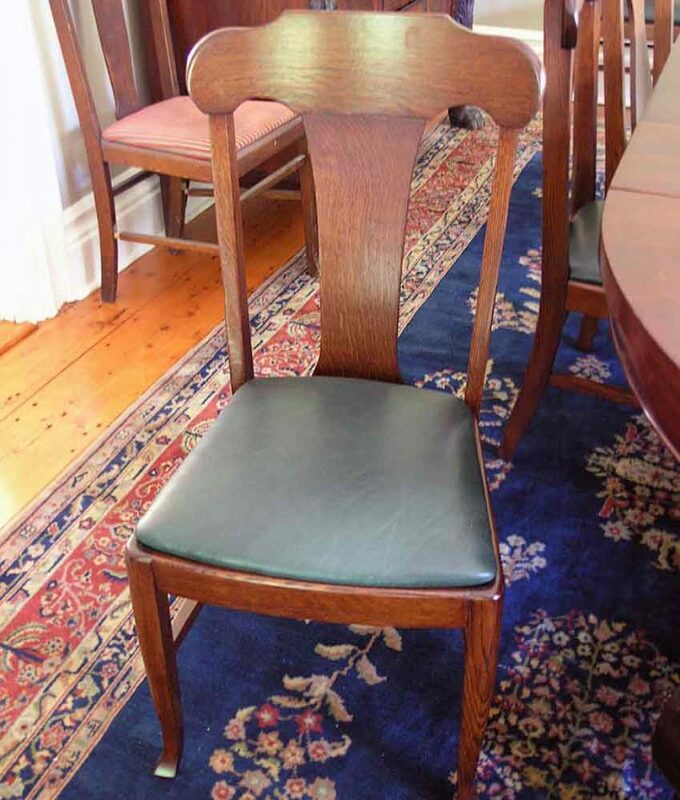 These oak chairs were refinished for a Millbrook NY client.